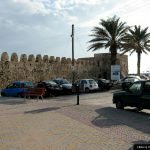 Ierapetra holidays - Enjoy this magical town in southern Crete. 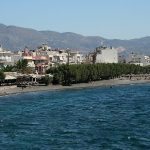 Ierapetra is the most southern town located on the island of Crete. It has the fourth largest population on Crete and boasts the largest population in the prefecture of Lassithi. 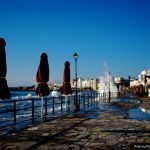 Due to its southern location in Crete the town of Ierapetra stays warmer than the rest of the island and attracts a lot of winter tourism. The mercury rarely drops below 18°C. 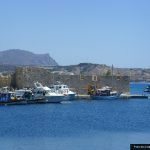 The port of Ierapetra is very important for the small town and is located just to the old town of Ierapetra, sheltering small boats and vessels and providing an excellent place for both locals and tourists to drop a fishing line and catch mainly mullet and black bream. An excellent fishing opportunity not to be missed. 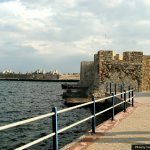 One main draw to the town of Ierapetra is the imposing fort built to protect the town from pirates and sea raiders. The fort, built by the Venetians and known by the locals as the “Kales”, has been erected on the top of the southern most area of the ancient harbour. 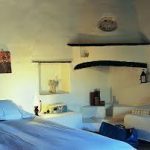 There is a local myth saying it was built by the Genoese pirate Pescatore in 1212. It is one of those monuments of the past which, because of its solid construction and the fact that it was still garrisoned until the final years of the last century, still exists today to serve as a reminder of some of the nation’s most difficult times. 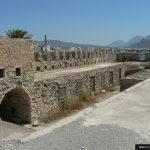 In fact Ierapetra was one of the last towns to hold out against the Roman invaders in Crete. The church of Afentis Christos, is near the fort, a little to the west in the “Sarakina” area. It has two aisle, the second being dedicated to St Charalambos. Like all Greek churches it is adorned with wonderful paintings and gold artwork, as per any Church in Crete you can enter pay your respects and light a candle. The church of Afentis Christos is regarded as being the oldest church in the town, being built in the 14th century. 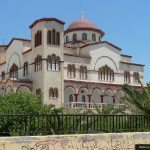 Every Easter in Crete you will find the celebrations for the area of Lassithi to be held at this Church and you will see the “burning of Judas” and many other amazing spectacles. Within the town of Ierapetra you will also find the Museum which holds many artefacts from Minoan times and the history of the town, this is well worth a visit and you will find art collections through the ages, currency and coins as well and pottery from the Minoan period and beyond. Entry is only a few euros and gives you an opportunity to take back some amazing pictures. The most spectacular part of Ierapetra has to be its Blue Star beaches, these stretch right around the town and offer excellent swimming and bathing opportunities. These beaches win the Blue star beach award every year for their cleanliness. The most popular beaches have to be Myrtos beach and Makris Ghialos. 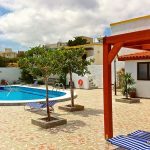 Also try Ierapetra beach which is the long sandy shingle beach to the east of the town, As the beach is found very close to Ierapetra, all facilities for accommodation, food, drink and amusement are available. Head to the east of Ierapetra, at about 6 km off the road leading to Koutsounari, you will find a remote, almost forgotten, nice, sandy beach. The beach doesn’t have any sunbeds’ or cafes so remember to bring your own. One of the most popular beaches in this area has to be the beach on Chrissi island, it can only be reached by boat, but boat trips do run on a daily basis from Ierapetra and can be found at the port. You can only stay for the day on Chrissi island beach but that’s normally long enough as the temperatures here are just a few degrees higher than that of the mainland. Bramiana Dam or Lake was built back in the 1970’s and is the only freshwater damn on the island of Crete. It was made mainly to supply the greenhouses and fields of the area with water during the arid Cretan summers. The dam was finished in 1986, but brought a lot of destruction to local wildlife populations. Although nature recovers well and now the Bramiana Dam is a nature reserve with over 214 bird species reported by Natural History Museum of Crete (NHMC). You can see many different birds from the Duckhawk to geese and other wild fowl. More information can be found at the Hellenic Ornithological Society.